Election Day was more than a week ago. But a handful of Texas candidates who lost by roughly 1,000 votes or less have yet to concede — or are already calling for recounts in their own races. In most cases, trailing candidates are hoping their saving grace will be a mixture of absentee, military and provisional ballots, all of which were due to each respective county by 5 p.m. Tuesday, and are still being counted. According to the secretary of state’s website, a candidate may request a recount if the difference between the number of votes received by that candidate and the number of votes received by the winning candidate is less than 10 percent. 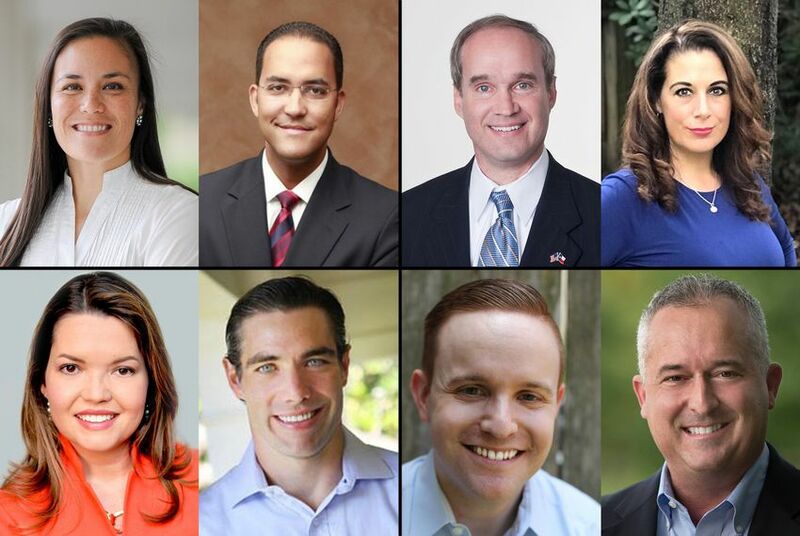 U.S. Rep. Will Hurd, R-Helotes, currently leads Democratic challenger Gina Ortiz Jones by more than 1,000 votes out of roughly 210,000 cast, according to unofficial returns. The Associated Press has not yet called the race, and Jones is pushing for all outstanding ballots to be counted. Hurd, meanwhile, has declared victory, and his campaign has maintained that his lead is insurmountable and Jones should accept defeat. Jones has been particularly focused on provisional ballots, which are cast when there is a question on Election Day about a voter’s eligibility. Her campaign went to court Tuesday to try to force Bexar County to produce a list of provisional voters so the campaign could contact them and make sure they solve their problems by a 5 p.m. deadline that day. The campaign also sought to get the deadline extended by 48 hours. Both requests were denied. Despite trailing Hurd, Jones headed to Washington, D.C., on Wednesday to participate in freshman orientation. State Rep. Morgan Meyer, R-Dallas, currently leads Democratic challenger Joanna Cattanach by 221 votes, according to unofficial results. On Wednesday, Cattanach asked for a recount. The outcome of the race runs counter to the pattern this year in other Dallas-area districts, where nearly all state House seats once held by Republicans flipped in Democrats’ favor. Meyer has already declared victory in the race. State Rep. Mike Schofield, R-Katy, trails Democratic challenger Gina Calanni, by 113 votes, according to unofficial results. Election night returns initially had Schofield behind Calanni by 97 votes, but that margin widened Wednesday night. State Rep. Dwayne Bohac, R-Houston, is currently ahead of Democratic rival Adam Milasincic by 47 votes, unofficial returns show. Bohac appeared to claim victory on his Facebook page on Election Night, though Milasincic has held out hope as more ballots have been counted and a gap that was originally wider has continued to narrow.